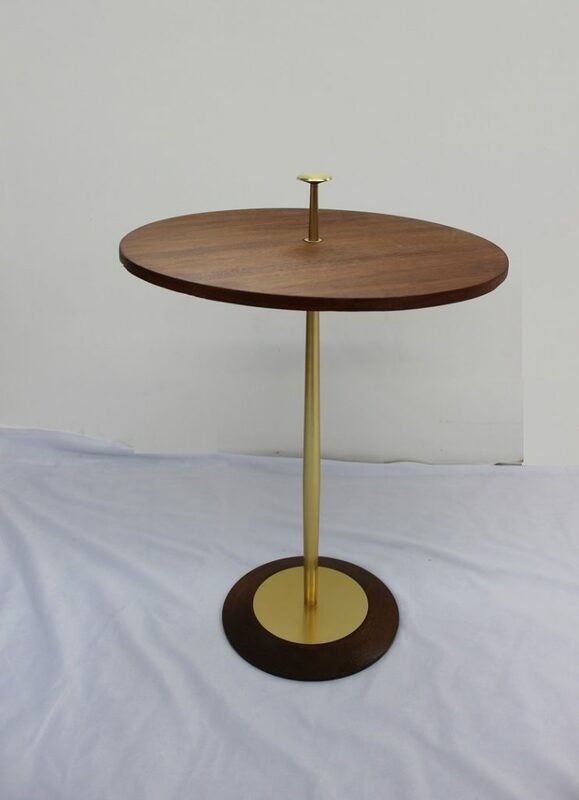 This beautiful Mid Century Modern small table is the perfect finishing touch to any room. 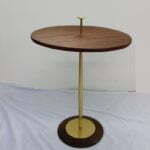 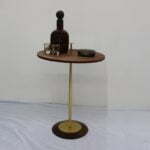 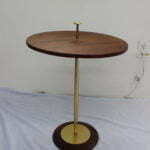 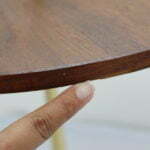 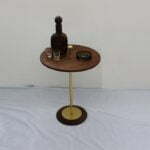 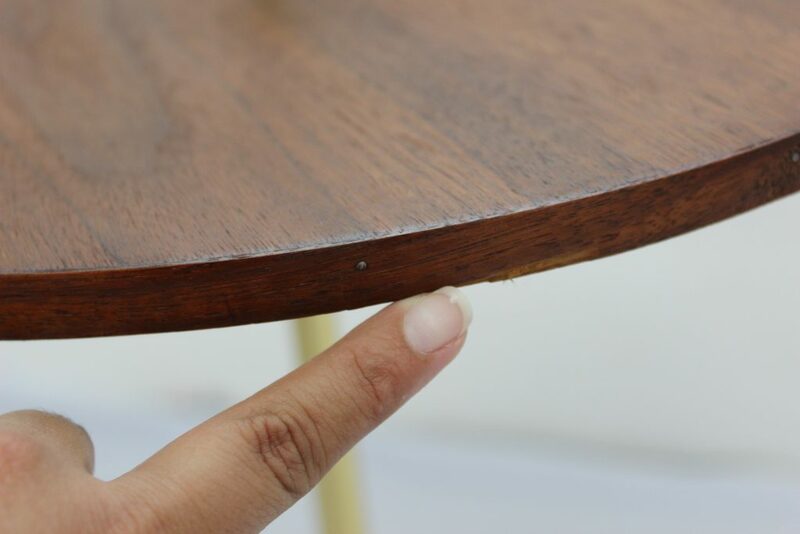 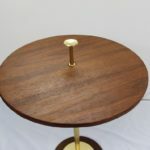 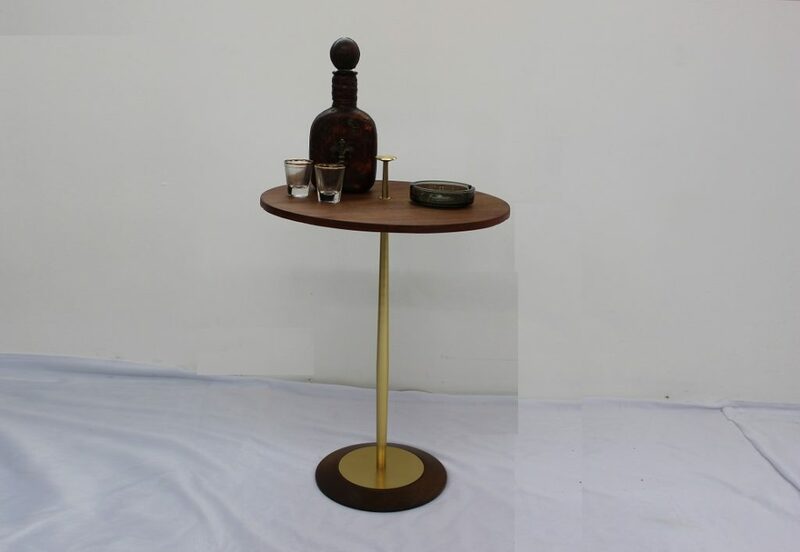 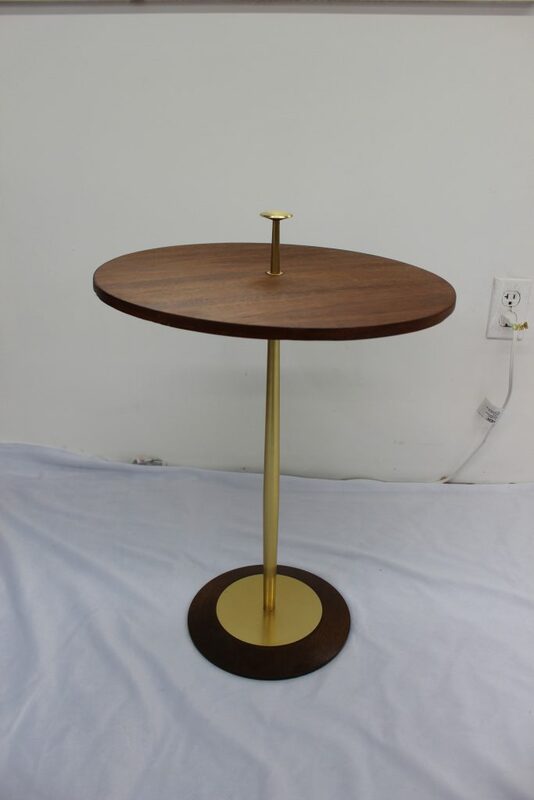 The pole is made of brass and the round table part and base have walnut veneer. 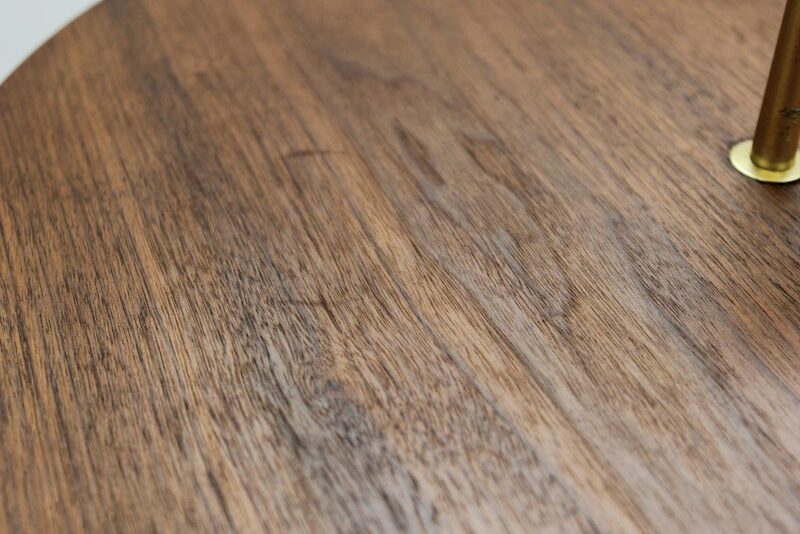 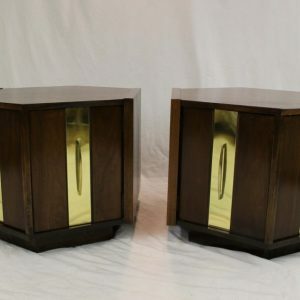 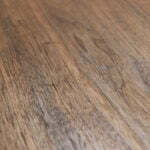 It is small enough that it could be just an accent piece in a living room or it could be a small table between chairs. 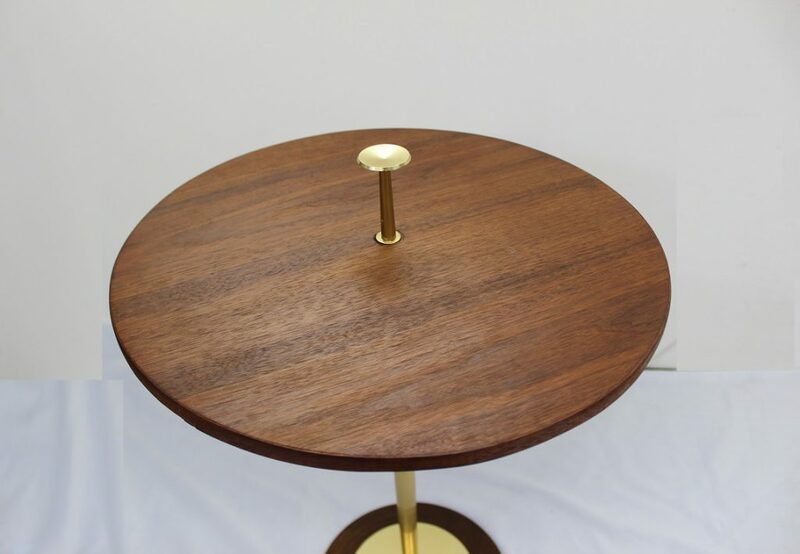 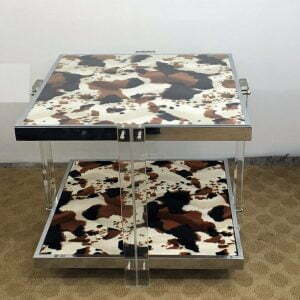 I believe this kind of table used to be called a cigar table because it was used to hold your ashtray next to your favorite chair. 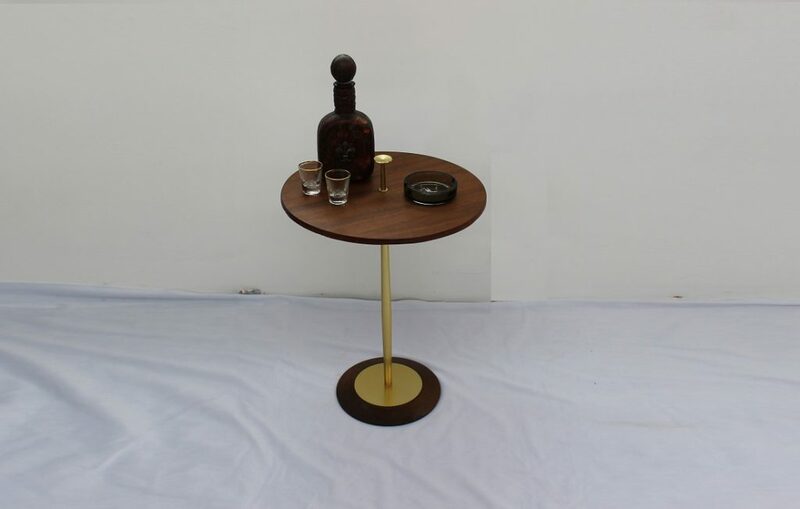 It measures 16″ diameter and 23 1/2″ tall.